What are the probabilities that the majority of people are correct about bitcoin? What is the most likely move? We explain in video. Tim Interviews His Parents ... About Money! We live in a simulation, hooked up to wires leading into a super computer. It's a difficult market. There are still rumours of big finance backers buying in while the price is cheap, yet there are only 17 million coins in existence, so they are taking a sizeable proportion (a powerful influence on price). Two things. If big fish only buy when the price is low, then it might stifle the price from going up. If they panic with a falling/non-moving price (deem it a bad investment), then they have a lot of coins they need to dump to get out, which could cause a collapse. Reza Aslan is your favorite author, it makes me laugh. I hope u make urself educated in that field of work. He derogates other faiths specially christianity and tries to preach modern islam since people in the west dont buy old islamic mumbo jumbo. The way you talk 10 minutes about absolutely nothing is fascinating. If it goes above 6200 then it's likely to go higher and if it goes below 6200 then it's likely to go lower. Genius. dumb money was right btw. bitcoim hasnt seen his bottom at all. there is no bullish long term sign. Dumb money is people who keep wasting money to buy "dips"
So its likely that we go up or down, nice. And what happened to our rally to 10k? THIS IS DEAD CAT MOVE MAN. every bitcoin money is dumb!!!!!! u will never make any money collecting bitcoins. 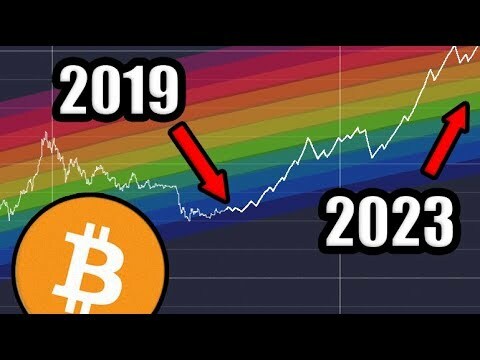 Bitcoin will continue to move sideways and down! The party is over! if you only look for likelyness then dont you go for normal distribution like bachelIer, markowitz,…? For non-ergodic experiment like BTC/Dollar there are big moves possible but very unlikely. But this doesnt mean that BTC will not crash tomorow or buble up next week. The hyper-inflation of deutsche Mark was also realy unlikely, but it happened. Everybody going for normal-distribution will reach an uncle-point sooner or later. Great analysis as per usual, so glad I've found your channel. Very helpful, thank you.